If you happen to still be buying imitation vanilla extract, here are a few things that could be in it: chemically synthesized vanilla flavor from cloves or a paper byproduct, toxic blood-thinning substance from the Tonka bean, corn-syrup, sugar, or a vanilla-like substance from coal tar or rice bran. Guess what is NOT in it? Vanilla. OK! Real vanilla extract only has two ingredients. Alcohol and vanilla beans. You can use anything from top-shelf to bottom-shelf booze for this. Vodka, bourbon, rum or brandy are all good choices. Go with something nicer if you’re planning to slip some into your morning coffee, if not, bottom-shelf vodka works just fine for extract. I make mine in a quart-sized mason jar with bourbon. Start with about 1 ounce of vanilla beans (usually 8-10 pods). Split them open with a knife and toss into the jar with the alcohol. I order mine from Mountain Rose Herbs. 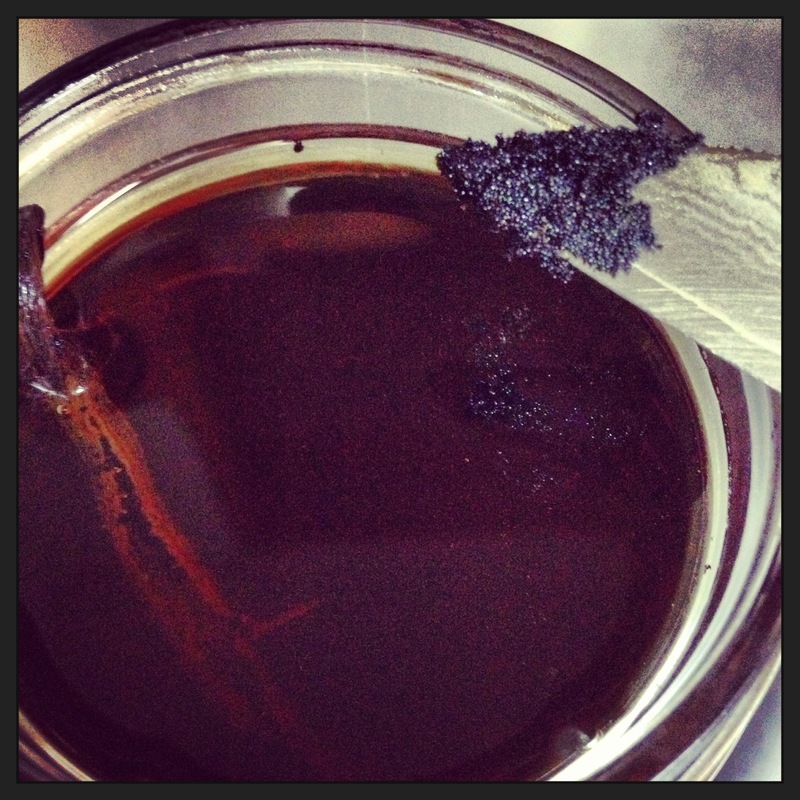 If you use any vanilla beans for cooking, or baking, just toss the empty pod into the jar with the rest of them. They will never go bad as long as they’re kept covered by alcohol. I’ve probably got 14 bean pods in my extract now. Keep it in a dark place and shake it often. It takes 2 months for the alcohol to absorb the vanilla flavor. You can leave them in that jar for continued depth of flavor, or transfer to a new jar and start the process over again. Label your jar with the type of alcohol and the date. 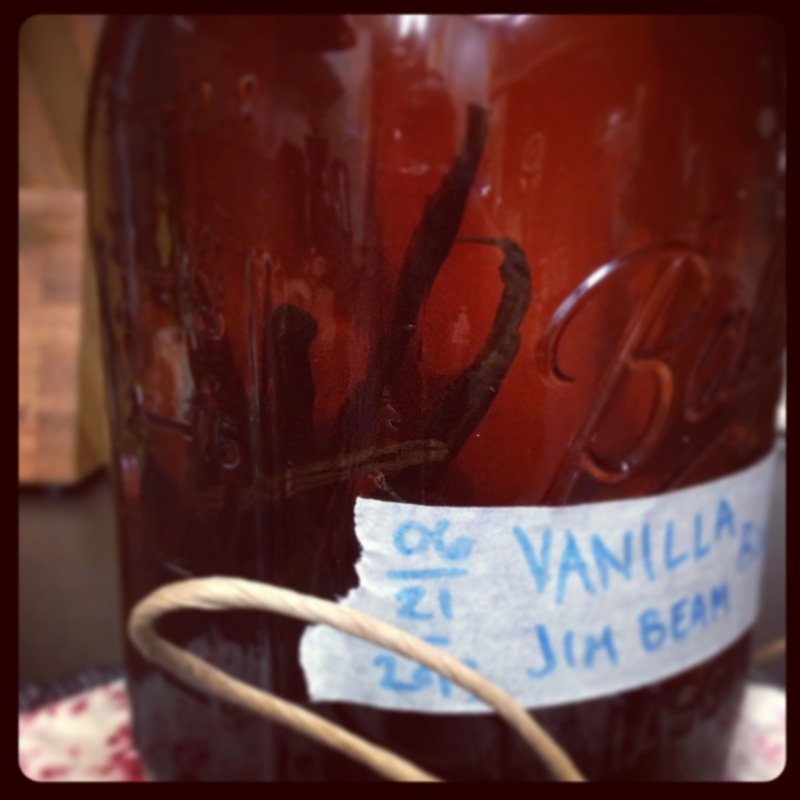 If your only plan is for vanilla booze, it may only take a week or two to infuse it nicely. Just taste and see how you like it. P.S. You can make these to give away as gifts. 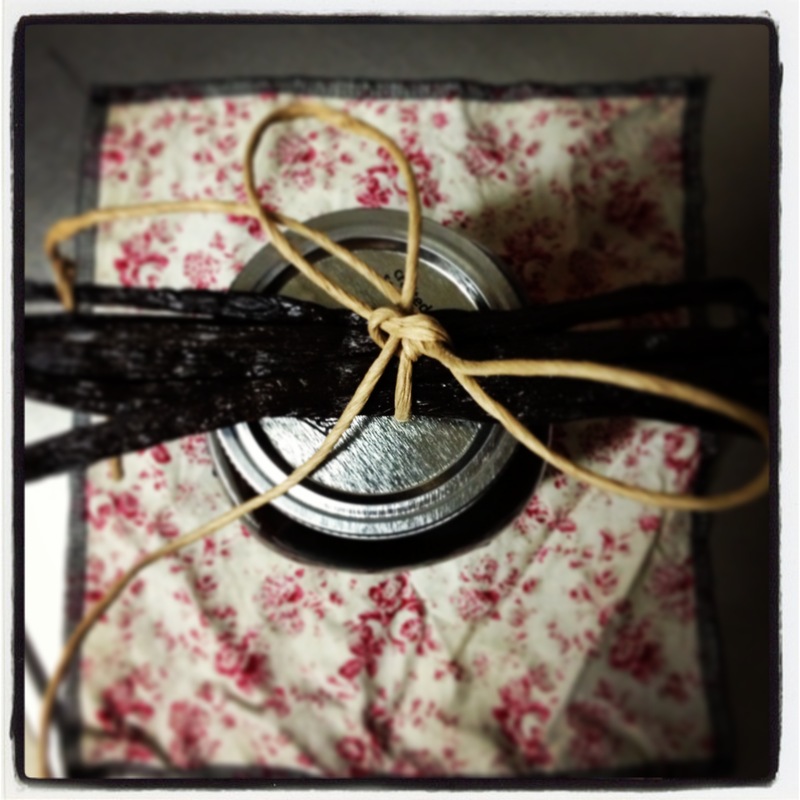 This entry was posted in Food, Home & Health and tagged DIY Vanilla extract, naturally diy, Vanilla Alcohol, Vanilla Bourbon, vanilla extract. I am glad to see this post about the vanilla. Anytime I post a recipe using vanilla, I urge folks to please not use that awful imitation mess and to see out quality vanilla extracts or learn to use vanilla beans. It is such a lovely flavor that takes things from ordinary to sublime. Yes, quality counts! 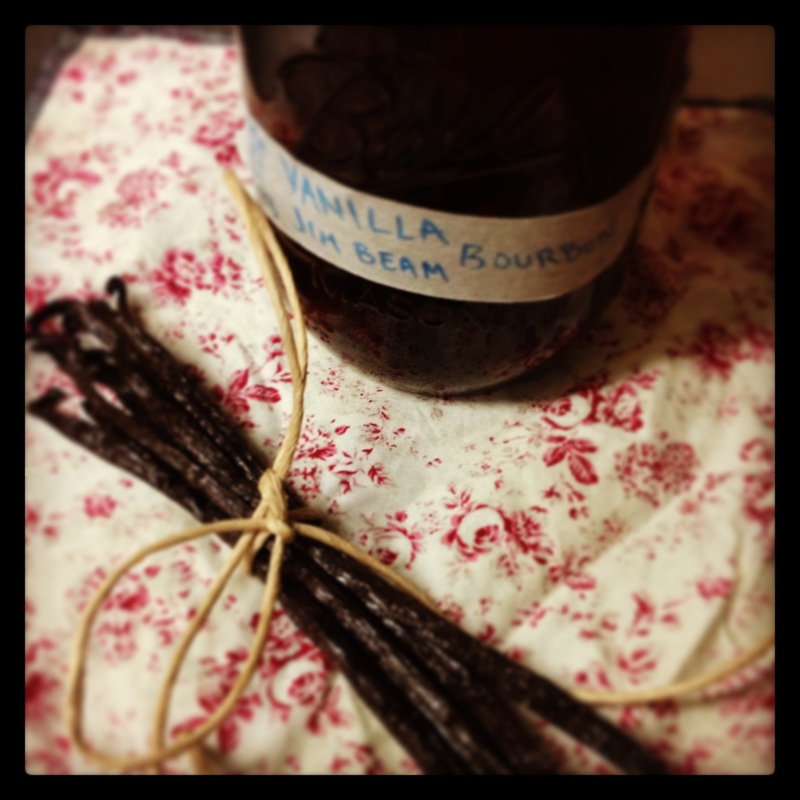 The DIY vanilla ends up costing much less than the tiny store bought real vanilla bottles too.